As the U.S. Congressman for Georgia’s Thirteenth District, it is my honor to cordially invite you to attend the Riverdale Post Office Renaming Ceremony in honor of fallen Riverdale Police officer Major Gregory E. Barney. This public celebration will take place on Saturday, October 22, at 11:00 a.m., at the Riverdale Town Centre. WHO: Congressman David Scott, the Barney Family, Senator Johnny Isakson, Congressman Lynn Westmoreland, U.S. Postal Service officials, Riverdale Mayor Evelyn Wynn-Dixon, Clayton County Commission Chairman Jeff Turner, Riverdale Police Chief Todd Spivey, and community members. WHEN: Saturday, October 22, 2016, 11:00 a.m.
WHY: On February 11, 2016, Major Barney, was shot and killed while giving chase to a suspect during a raid on an illegal drug operation. Major Barney was a 25-year veteran of the Riverdale Police Department. During his career in Riverdale, Major Barney was a school resource officer at Riverdale High School, a sergeant and a captain. 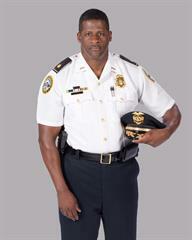 In 2004, Barney became the first African-American to serve as Chief of Police when appointed Interim Chief. Congressman Scott authored H.R. 4747, legislation designating the Riverdale Post Office in Major Gregory Barney’s honor. The legislation passed the House of Representatives unanimously on May 24, 2016, and also passed unanimously in the Senate on July 14, 2016. President Barack Obama signed the measure into law on July 29, 2016. 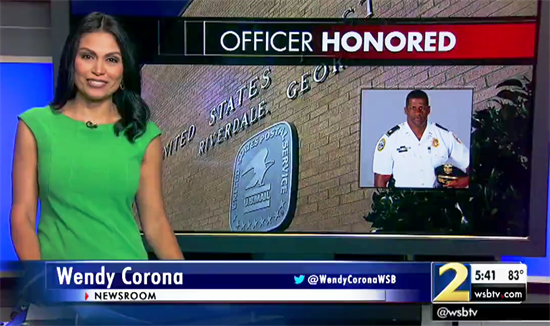 Click here to watch WSBTV’s recent story about the Riverdale Post Office dedication and hear from Major Barney’s widow Lisa and my thoughts on the importance of honoring Major Barney.